This comic was drawn (spoiler free) during a live stream over at my twitch channel. Head on over if you're curious about the process, and wish to interact with me as I draw. I also draw more things than the comic. 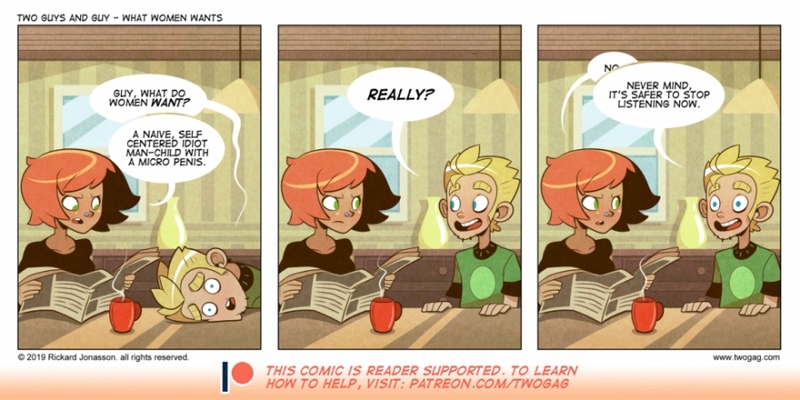 Also, Patreon is what keeps Twogag updating, visit the patreon page to learn how you can help to support the comic!